One of the reasons that I have always been comfortable with cooking most things from scratch is that my mother always did so. 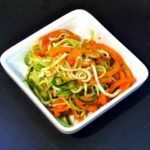 Our cooking styles are quite different – as I’ve said, I grew up eating frozen vegetables, largely because there simply was no source of really good fresh ones in the city when I was little, and she ran much more to dinners of Some kind of Meat with a Pile of Vegetables next to it… whereas I tend to mix things, and use much less meat. 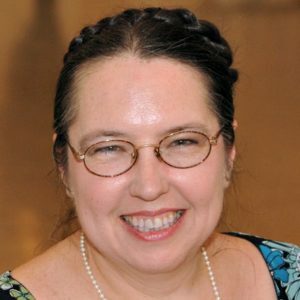 But she used much less packaged or convenience food than my friends’ mothers did – I remember being fascinated by canned ravioli, precisely because I’d never eaten it! One of her workhorse tools was her Waring Blender. Even in the ’60s hers was archaic – its only speed was On. 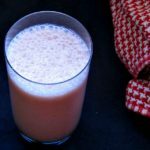 Her own parents had bought it in the late ’40s, when her father had needed a liquid diet after an accident, but she had taken it with her when she moved out, because by then she was the only one really using it. The motor was very powerful, and it never gave any trouble, though she used it until the mid ’90s! (She then gave it to my cousin, who is in the business. For all I know, it may still work…) I found a picture of the model she had! It had come with a booklet of recipes – and she really used the recipes, too. There were ones for the liquid diet her father had needed, which I remember copying for a friend of hers whose son broke his jaw… but many more that were more generally useful. She made peanut butter. She made purees. She made blended soups. She made batters. Like many dishes, this is really more a method than a recipe as such. 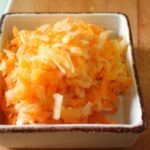 I will give the amounts I actually used, but don’t feel bound by them… I like a ratio of about 1 part of carrot to about 3-4 parts of cabbage – but if you either have or like more or less carrot, go for it. The same for mayonnaise – enough to moisten it… How much that is will vary by the precise amount of vegetable, and how fresh and moist the vegetables are, and how moist or dry you like it. Peel off any dried leaves on your cabbage, and wash the outside. I used half of a small one, here. You might want all of it, or a wedge from a larger one, or… I wasn’t really making very much, since it was just for the two of us, not something I was taking to a picnic or something. 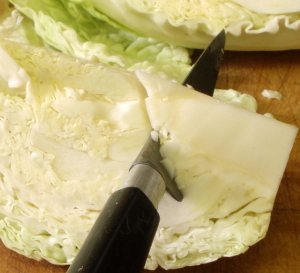 Cut out the core – it might be fine chopped, if the cabbage is really fresh, but it might be too tough and stringy. Then cut the cabbage in chunks to fit your processor. 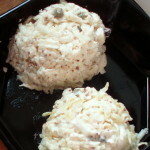 I’m using a mini-chop, here, but a larger one would work with slightly larger chunks. Scrub the carrot well, or peel it if you can’t get it clean otherwise. 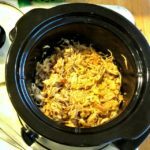 I used half of a large one here, as, like the cabbage, I’d used the rest in a different recipe – a whole smaller one normally would make more sense (and is what I’m writing in the recipe.) It’s harder than the cabbage, so I cut it into smaller chunks – I don’t want one to get stuck on the processor blade. 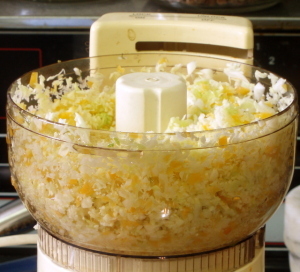 Put cabbage and carrots in the food processor without crowding it. I did this in two batches – you may need more or less. I chop cabbage and carrot at the same time, as that helps mix it. Then just whir it for a minute until the vegetables look like confetti. Pour it into a bowl, and chop other batches as needed. 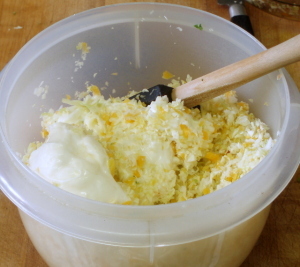 When I make coleslaw by shredding cabbage, I prefer to make it a day before I need it, to let the cabbage soften slightly in the mayonnaise. 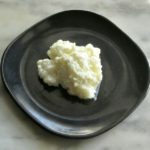 Because of the finely minced texture, this doesn’t need that – and, while it does last a few days, it does not improve with standing, but can get a little soggy. I would not make more than I expect the family to eat in 3-4 days. Oh – a note – Mom made her own mayonnaise in that blender, too… also from a recipe in the booklet. I usually don’t, mostly just because we use so little, and it was best really fresh, but you do see why I don’t automatically turn to a commercial package for foods… I have always known that I could make most things myself. Many recipes earned their reputation for being difficult before we had blenders, food processors, mixers, or other automated kitchen boys. 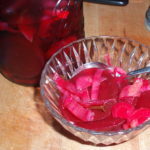 I usually try to give recipes that do not depend on them, since not everyone has everything (I didn’t have a mixer for most of my adult life) and you certainly still can make this with a knife – but it is nice to have options. And thank you, Fred Waring, for popularizing the blender. You changed the mid-20th Century kitchen. 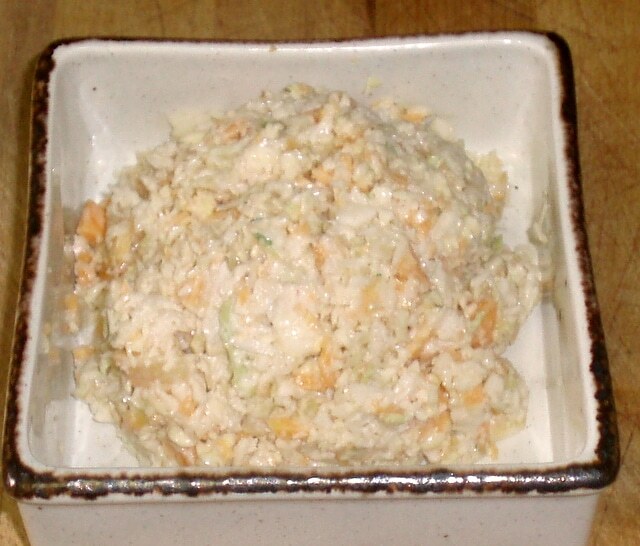 Quick homemade coleslaw, with both cabbage and carrots. 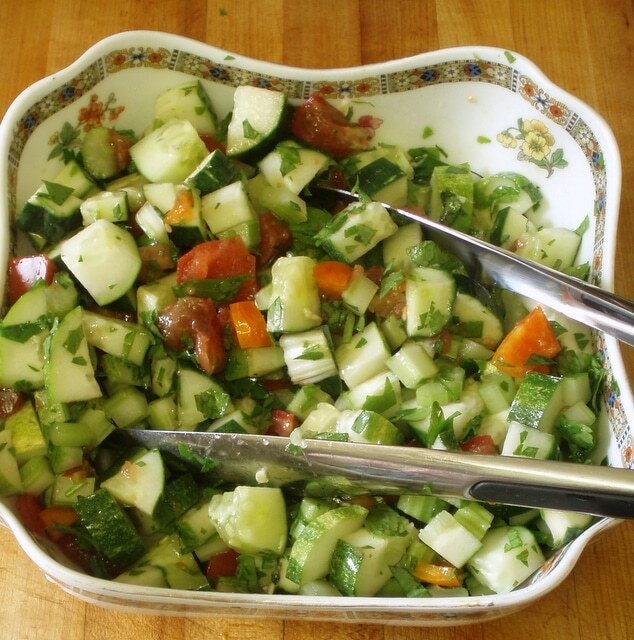 Light and refreshing at a picnic, or as a salad in midwinter. Core the cabbage. Cut it into medium sized chunks. Cut carrot into small chunks. 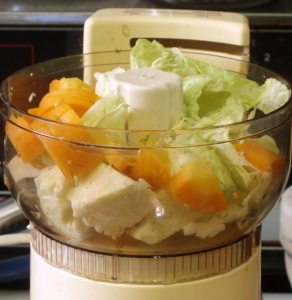 Loosely fill a food processor with cabbage and carrots. 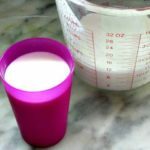 Do not overfill - make it in two or more batches if you need to. Process one minute or so until the vegetables resemble confetti. Pour into a bowl. Process the rest of the vegetables, if needed. 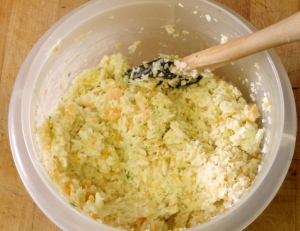 Add a spoonful of mayonnaise and stir well, adding more if needed, until the coleslaw is moistened to your taste. What a great simple recipe. 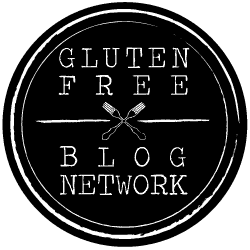 Thanks for linking up to Gluten Free & DIY Tuesdays. I hope to have you back again next week.